Gulf Shores on the Alabama Gulf Coast is a resort community known for its small-town charm, sugar-white beaches & the warm emerald waters of the Gulf of Mexico, making it the ideal resort community to rent a vacation home or hotel for a weekend getaway or longer vacation.. Daytime activities include scenic cruises, dolphin-watching hiking....or just relaxing while enjoying a cool drink and the ambiance of coastal living. A great place for families Gulf Shores has The Track, a family recreation center with bumper boats, and also the Alabama Gulf Coast Zoo, Zip-lining, Kakaying, Deep-sea Fishing, Championship Golf Courses, Gulf State Park & Fishing Pier and much more. What are you waiting for? 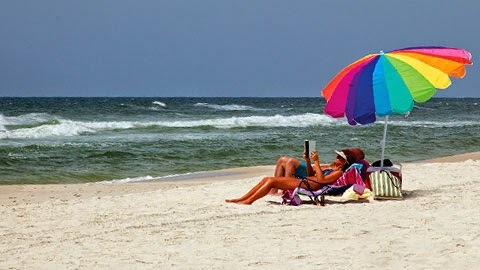 Find the ideal spacious vacation rental by owner or luxurious hotel and enjoy the sugar-white beaches, fresh seafood, championship golf courses, charter fishing trips, wildlife areas and state historic sites Gulf Shores-Fort Morgan has in store for its visitors. Foley, just north of Gulf Shores, is a water-sports paradise - surrounded by back bays and rivers, there are numerous opportunities for outdoor activities and delicious fresh seafood. This Alabama Gulf Coast is the perfect getaway, and has a something for everyone.